Police are back in Bainsford today – a week after an elderly woman was assaulted. Officers are carrying out the anniversary patrols in a bid to trace the youths who attempted to grab the pensioner’s handbag. The incident happened between 1.30pm and 2.30pm last Thursday, June 9, in Carron Road. 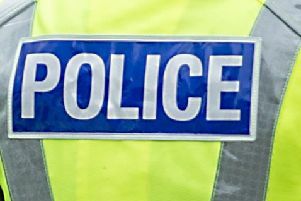 The 83-year-old was walking near to the bus stop outside Matalan when the two teenagers approached her. They assaulted her and attempted to grab her handbag. However, they were disturbed by two passers-by before running off. The first suspect is described as being 13 or 14 years old, white, of slim build, around 5ft 3in talkk, with dark brown short hair. He was possibly wearing a denim jacket. The second youth was also white, aged 15 or 16, of slim build, around 5ft tall with light coloured short hair. Those with any information can contact Police Scotland on 101 or anoynmously via Crimestoppers on 0800 555 111.